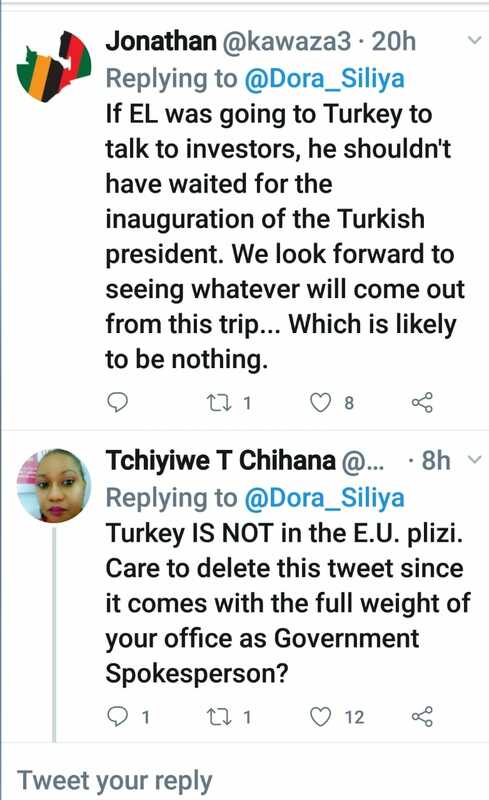 Twitter users have roasted Chief Government Spokesperson, Dora Siliya for tweeting wrong and ignorant information. 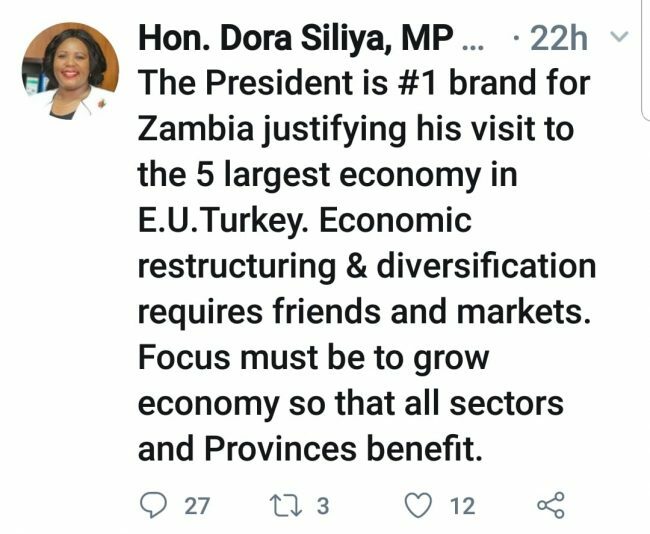 “The President is #1 brand for Zambia justifying his visit to the 5 largest economy in E.U.Turkey. Economic restructuring & diversification requires friends and markets. But her followers immediately went to correct her. “Turkey IS NOT in the E.U. please. Care to delete this tweet since it comes with the full weight of your office as Government Spokesperson?” Said Chihana. Another one reminded her that Turkey is not the fifth largest economy in Europe and that Turkey was not even in Europe but in the Middle-East as she claimed.